PerformanceHub is packed with many great features. Explore them in detail below. You are free to configure PerformanceHub to match or enhance your current performance review process and can enable any features whenever you like at no extra cost, even ones we’ve not invented yet (as soon as they arrive). We’re adding more features all the time, so if you don’t see what you are after, please get in touch and we’ll take a look for you. If you have a company vision or mission statement, you can publish them for everyone to see. This is a great way to align employees, uniting them behind a single purpose. It is particularly powerful when combined with Company Goals and Objectives. Do you have longer term company goals? If so, you can publish them for all to see and connect your company objectives to them to show how the goals will be met over time. In this way, PerformanceHub gives your employees unbelievable clarity and focus. Company Objectives are displayed on the Company page (along with company goals and mission statement you have created them). Publish company objectives, so everyone can see what your company wants to achieve in the short term. People’s objectives connect to these through the objectives cascade, so everyone knows how they are contributing. Employee objectives are the bread and butter of PerformanceHub. Each SMART objective has its own performance review and, because of the way you can connect objectives together with due dates, PerformanceHub will encourage reviews to be done through the period. By doing this, when it comes to the end of period performance review, you already have a lot of performance data on hand which may have otherwise been hard to remember. PerformanceHub really helps you deliver. Objectives can be delegated and decomposed into a team, copied from previous periods (handy for those repetitious ones) and you can even assign the same objective to some or all of your direct reports in a single step. You can set due dates on objectives, and PerformanceHub will remind you complete them and highlight overdue objectives. Use PerformanceHub to plan your deliveries and help you achieve them on time whilst collecting performance data as you go. Use Objective Weights (a configurable feature) to help communicate the relative importance of objectives to employees. When objectives are weighted, then the weights are taken into account when calculating average performance reports, making the reports much more meaningful to the individual. Objectives can also be marked as contributing to employee bonuses and PerformanceHub can automatically calculate bonus payments based on performance against individual objectives for you. If objective weights are also used, then these are also taken into account in the calculation, making a laborious task a breeze. PerformanceHub supports different objective types. Development objectives are an example of this. Marking an objective as a Development objective, allows HR to track progress of employee development within your organisation. 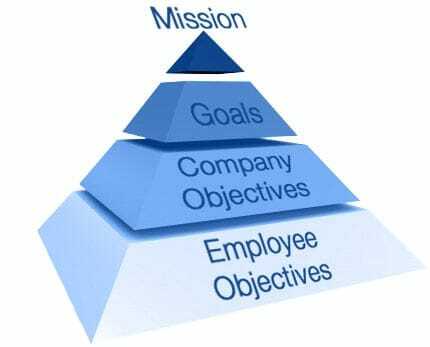 Objectives are linked together in a cascade to help employees understand why they have particular objectives, how they contribute to others and ultimately, how they are helping the company achieve its objectives. This is a great way to give employees a real sense of purpose and collaboration. PerformanceHub can be configured to run your appraisal cycle at any frequency; once a year, every 6 months, every quarter or as often as you like. Appraisal forms can be customised too. You can add your own sections to an appraisal template to collect any type of information or to tease information out of people to improve the quality of performance review meetings. These sections can be configured to work in a number of different ways depending on what they are being used for. Top 3 strengths/areas for development. You can also add a competency based reviews so employees can be reviewed against the competencies for their particular role. Finally, you can add 3rd party sign-off, so the direct report, manager and manager’s manager all have input to an employee’s appraisal. Use PerformanceHub to record an employee’s Job Title, Location and Role. Job Titles and Locations are displayed in the Organisation Chart and are a great way for people to find who they may need for help and where they’re likely to be. Roles are used to describe what competencies an employee should have and at what level of performance each competency should be for that role. More on this in the Competency Based Reviews section below. 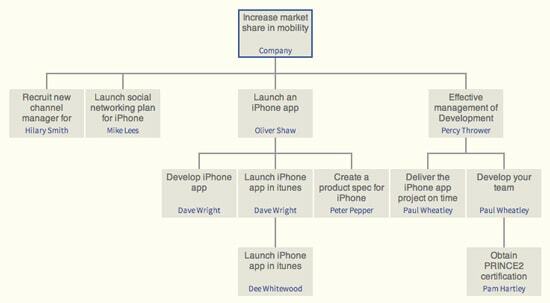 Any user can quickly access an up-to-date organisation chart. They can see where people are located and what their job title is. We couldn’t tell you how many companies we have spoken to who can’t show us an accurate, up-to-date org chart, but PerformanceHub provides one out of the box. There are many sorts of reports built into PerformanceHub and a great real-time charting function to help you understand where you are in your process, how employees’ effort is attributed against each company objective, how performance is distributed, where ‘disagreements’ are happening between managers and their reports and loads more. PerformanceHub will show you your rising stars, under-performers, who is holding up the process and many other things. Slice and dice the data to see how departments or locations are performing, find your top performers, your poor performers. You name it, you can find it. We host everything for you, there’s no software to install or maintain. You benefit from new releases as they happen and can enable any new features that come along at no extra cost. We host your data in a secure UK data centre and are fully compliant to the UK Data Protection Act 1998. Support is included and we are always here to help. To quote one of our customers – “We get exceptional, first class support and remarkable cooperation.” (eCommera). One to one meetings are an important part of continuous improvement and the “no surprises” principle. PerformanceHub can take care of your one to one meetings process and provide both managers and their direct reports a place to record meetings notes for each meeting held. HR have access to the notes, along with various reports that allow them to see who is/isn’t having meetings and how frequently they are taking place. PerformanceHub can capture and track employee development targets in a personal development plan and remember any completed development targets, just like a training record. New development targets can be created at any time with a wizard which captures “What, When, How and Why” the development is required, ensuring concrete plans are made and providing you with in-depth analytics. You can configure PerformanceHub to capture a minimum number of development targets during an appraisal and track who is/isn’t setting them. This way you can ensure managers are continuously developing their staff. Feedback is a great way to get a more rounded view of someone’s performance. Employees can give feedback to anyone in your organisation. The feedback is added to their review and can be seen by the employee and their manager. If the feedback is a bit sensitive, then the person giving it can say “for manager’s eyes only”. They can also provide the feedback anonymously to avoid those awkward moments. In addition to this ad-hoc feedback, employees or managers can ask for feedback with specific questions to specific people in preparation for a review. In this way, you can provide 180 or 360 degree feedback to get a really good view on someone’s performance. Help with your on-boarding process. With the probation reviews feature, you can be sure that new starter probation reviews are completed on time, with have an appropriate outcome, fully tracked by PerformanceHub. A powerful, optional feature to make your reviews competency based. When enabled, you can create a library of competencies and roles, then assign a role to an employee and a new competency review section will appear in their appraisal. A competency has a Title, Description and then any number of ‘performance levels’ associated with it. A role has any number of competencies, each with an associated performance level. When it comes to the review, both the manager and direct report select the most appropriate performance level against each competency. PerformanceHub will highlight areas where improvement is needed and in the future, how to improve performance against that particular competency. An optional feature that can be enabled if you have a matrixed organisation or if some managers want to let specific other people assign objectives to some of their direct reports. Every employee has a line manager, but once matrix management is enabled, employees have have one or more matrixed managers. Matrix managers can set their matrixed reports objectives (great for helping Project Managers get things done) and now you have performance review data from more parties. PerformanceHub protects data, so each manager can only see the information they should. For example, matrix managers cannot see the full appraisal of their matrix reports. It’s an old saying, but in a well-run performance management process, there shouldn’t be any surprises. Interim reviews are mini check-points between full performance reviews. You can configure as many as you like during a review period and they are a great way to quickly and easily ensure that dialogue is taking place at regular intervals. If required, interim reviews can also be rated. An optional feature that can help ensure that managers are applying ratings properly or ‘force’ a performance distribution. There are a number of ways this feature can be enabled, including the introduction of Provisional ratings if that’s how your current process works. An optional feature which gives managers of managers a place on their 2nd line report’s appraisal to add review information and ultimately sign-off the appraisal. You can add a chairman to your organisation who then has the ability to set personal objectives and appraise the CEO. Ordinarily, a CEO does not have an appraisal, but if you want someone from your board to review your CEO’s performance, then you can set-up a chairman to do this. Appraisal Tags are powerful ‘snippets’ of information HR can create and associate with an employee’s appraisal. Think of them like ‘stickers’ that you can ‘put on’ employee’s appraisals and are only visible to HR. You can use them for all sorts of things, but perhaps the best way to describe them would be to walk through an example use. Let’s say that you have a talent management and succession planning process you want to keep track of. You already have all sorts of information in PerformanceHub about people’s performance, and you may also collect other data you can make use of through PerformanceHub’s “Appraisal Fields” feature too. The Appraisal Tags, you can bring distil all this information down to 1 or more configurable tabs, which you can then analyse in the Distributions tool and other reports. Are you looking for a full HR Information Management System including performance and talent management? You have the freedom to create rating schemes that match how you’re already working, or would like to work in the future. You can base your rating scheme on numbers or words (eg 1 to 5, or “Outstanding” to “Abysmal”) and be as granular as you want. When you define a rating scheme, you also provide a description for each performance level, so employees know exactly how to apply a rating. Overall performance can be rated as a single measure or a 2D measure, e.g. Results vs Behaviours. You can even set multiple rating schemes depending on what’s being rated, e.g. Objectives may have different descriptions to overall performance ratings. Finally, you can change rating schemes between review periods, and PerformanceHub won’t forget how you used to do it, so all your historic data is preserved. Your company logo is applied to every page, making PerformanceHub feel like part of your ecosystem. In addition to this, a bespoke colour theme can be applied to PerformanceHub, ensuring that it fits in with your organisation’s brand and intranet. This one speaks for itself. You can can configure PerformanceHub to encourage employees to set a minimum number of objectives for each review period. Managers will be informed (on their dashboard) which of their direct reports don’t have enough objectives. The CEO and HR will be told what percentage of the company have at least the expected number of objectives. Development targets form part of an employee’s personal development plan and you can configure PerformanceHub to ensure that employees always have a minimum number of development targets created each review period. This is a great way to establish a continuous development culture in your organisation. You can configure your review periods to be any length you want, quarterly, bi-annually or annually. Even monthly if you like. There are no limits. When setting up review periods, you also provide a number of associated milestone dates to help PerformanceHub manage the process. For instance, when to mail everyone to remind them to start preparation for their review, when objectives need to be set, when various deadlines are and when to start turning actions amber or red. HR Partners may manage subsets of your organisation, and with PerformanceHub you can give HR Admin rights to HR Partners for just the subset of the organisation they are responsible for. It’s done by creating organisational ‘zones’, and zones can be used for more than HR Partnering, they are also handy for reporting, allowing you see reports for each zone. A zone may follow a department or geographical region for instance. Employees can always see company objectives, but this controls which other objectives employees can see in the objective cascade: can they see their manager’s objectives, those of their manager’s other direct reports (and their teams), and can they see objectives in other parts of the organisation? The controls range from “Full Transparency” all the way down to a more traditional hierarchical state with many steps you can choose in between. You can mark an objective as Private, so it can only be seen by the direct report and their manager. HR can see that you have a private objective, but even they can’t see the details. Private objectives aren’t shown by default, you have to turn it on for your login session; this ensures you don’t accidentally reveal them. You can use private objectives for the more sensitive objectives you never want anyone to see. Other, less sensitive objectives still won’t be seen by other employees if they are not connected to the cascade. We take data protection very seriously and are fully compliant with GDPR and the UK Data Protection Act. We are registered with the Information Commissioner’s Office (ICO). Our registration number is ZA085928. ISO 27001 is the international standard for information security management that specifies a set of best practices and controls for information management. With this certification, you have an assurance that we are operating in a professional manner that highly values security and is compliant with an internationally recognised standard, which has been audited by an accredited third party. This certification also provides additional clarity and assurance to you when evaluating the quality, breadth, and strength of our security practices. Tick to give consent - We need your consent to process this request. More info here .